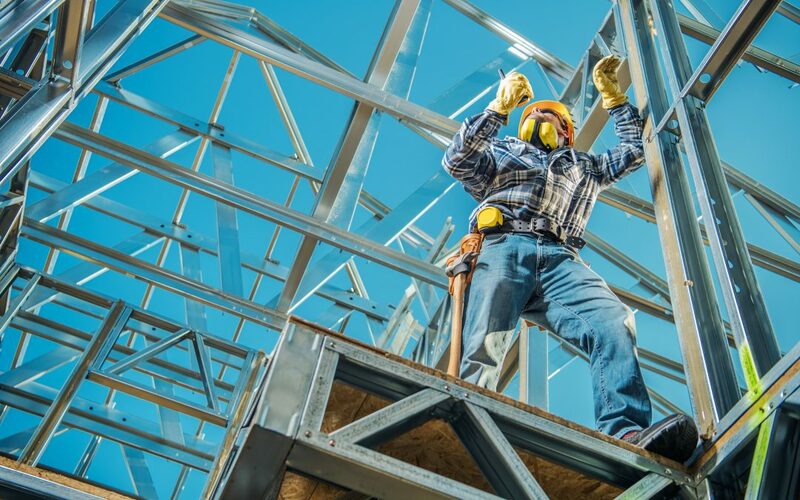 Structural steel is nothing new in commercial buildings, where it gives the benefits of fast construction and off-site fabrication, as well as strength over large dimensions. But steel-framed houses are still relatively rare in the UK, especially for single-household dwellings. So what are the benefits of building houses using steel? Most people are familiar with the prefabricated homes, or ‘prefabs’, built after the end of the Second World War; however, very few people know the difference between these and BISF homes. British Iron and Steel Federation (BISF) homes were built using structural steel frames, and built to last at least as long as their conventional equivalents – and decades longer than a typical prefab. Many BISF homes are still standing but commonly mistaken for prefabs, leaving a hidden history of British steel homes standing in plain sight. The high level of sustainability of steel construction makes it a good candidate for future construction too. BMRA, the British Metals Recycling Association, says including recycled steel in the raw materials cuts water consumption by 40% in the production of new steel, with 76% less water pollution and a massive 86% drop in air pollution. Up to a quarter of the raw materials used in a traditional blast furnace can be scrap steel, but the electric arc furnace or EAF method increases this so that scrap steel can be the major raw material used. Steel beams help family homes to evolve, even if it’s as simple as a single universal steel beam replacing a load-bearing internal wall to create more open-plan living. By building with structural steel from the outset, you create a home that can grow and change as its family’s needs develop over time. Internal spaces can be redefined and extensions added by bolting on to the existing structure – made even easier by the architectural trend for exposed steel frames on residential dwellings. Steel columns and beams offer unique properties that not only deliver immediate benefits in residential construction, but continue to yield even more advantages as the years go by. For high quality steel to use in house building, contact Dunkerley Steel today and discuss your requirements with us.